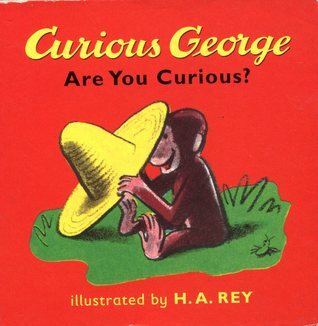 Curious George’s Are You Curious? My youngest and I recently read this book through a number of times. The first time through I helped her a bit. Buy the third or fourth time through she was reading the whole book to me. I am not sure where my daughter picked up this board book edition. We have 2 copies of the complete Curious George at home, and I have read them to all three children and even my oldest has taken to reading it to the younger children. This book fills a different niche. It is a simple board book with familiar characters , it helps to explain feelings and will give some children a greater context to be able to express themselves. It is a fun little book, and my daughter loves it. A Second Series of books was released between 1984-1993 and were based on the TV adventures. The newest incarnation The New Adventures of Curious George have been appearing since 1998.